The pathos of misfortune. 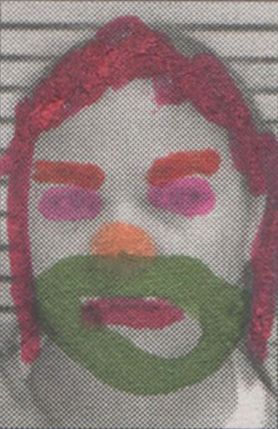 Local arrest sheet as coloring book. Local Clown (Possession of Methamphetamine), 2016. Local Clown (Violation of Probation), 2016. 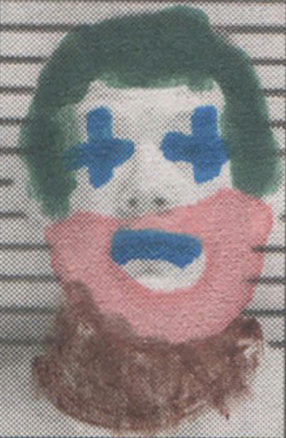 Local Clown (Fraudulent Use of an ID), 2016. Local Clown (Felony False Pretense), 2016. Local Clown (Grand Larceny), 2016. Local Clown (Possession, Expired Tag), 2016.